At the continued inquest into the cause of the collapse of a building within The Synagogue, Church Of All Nations (SCOAN) last September, an experienced engineer has dismissed insinuations that the collapse was caused by a faulty foundation. Engr. (Dr) Joseph Ibikunle Folayan, a US-trained geo-technical engineer, told the coroner that after visiting the site of the collapsed building, there were no signs whatsoever to suggest that the building’s foundation failed. “What I saw when I visited the scene of the collapsed building did not in any way suggest that it collapsed due to foundation failure,” Folayan, who has over 50 years of experience in his field, told the court. “The foundation I saw was not stressed at all and there were no signs to show that it failed. However, what has happened has happened. The unfortunate incident is a wake-up call to the practice and regulation of engineering in Nigeria. We have to put our house in order and do the right thing. COREN has to sit up to its responsibilities”. Folayan, who is a Fellow of the Nigerian Society of Engineers, said he was incompetent to determine whether or not the mystery aircraft that flew over the building had any direct effect on it. Furthermore, he countered the insinuation that engineering is based on assumption, expressing disappointment that Lagos state witnesses admitted that they had based their reports on assumptions only. “That’s alien to my profession,” the immediately past President of Association of Consulting Engineers firmly stated. Earlier on, the Lagos State Commissioner for Physical Planning, Mr. Olutoyin Adedamola Ayinde was rebuffed for presenting mostly irrelevant documents to the court. Many of the court attendants questioned why the commissioner would tender documents that had no direct bearing to the coroner, indicative of a ploy to stifle evidence. Different stars of the Nigerian entertainment industry continued to besiege the court premises to show their support to the cleric at the center of the controversial inquest – T.B. Joshua. Hip-hop legend, Eedris Abdulkareem and ‘Lord of Ajasa’ led other artistes to the court premises where they insisted that no amount of antagonism can stop the man of God from achieving his God-given purpose on earth. Eedris spoke glowingly about Prophet T.B. Joshua to the press after the court. “The man of God will be vindicated after the coroner because we all know he has a good conscience and is only being haunted by some people who cannot match his achievements and level of commitment to helping people,” he said, insisting that bias had no place within the Lagos State judicial system. “What we are doing now is just a tip of the iceberg. Very soon, we will take to the streets to protest against any form of bias against the man of God. And it will be massive”. Meanwhile, Chief Magistrate Oyetade Komolafe has adjourned proceedings to Wednesday, April 8, 2015. 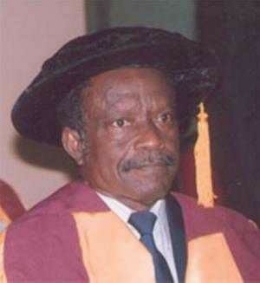 The forensic pathologist who led other pathologists in carrying out tests to determine the cause of death of victims of the collapsed Synagogue, Church of All Nations building, Professor John Obafunwa, has told the coroner that he was mainly concerned with the cause of death of the victims and not the cause of the collapse. Answering questions put to him by counsel to The SCOAN, Olalekan Ojo, the university don and current Vice Chancellor of Lagos State University, stated that it would be wrong and beyond his jurisdiction to probe into the cause of the collapse. Speaking further, Professor Obafunwa disclosed that out of the 116 corpses that his team handled, only 6 are yet to be identified. On that note, he urged the government that in the event of a recurrence of a tragedy of such magnitude, sufficient announcements needed to be relayed that would enable the public to be aware of the situation on ground, especially family members of those affected. Asked by the Chief Magistrate, Oyetade Komolafe to make recommendation that would ensure that such incidents are forestalled or better managed in future, Professor Obafunwa said: “There should be synergy among the various rescue organizations. Their activities should be better coordinated. It is high time we had a proper forensic laboratory in the country. We need to also train more personnel in the various areas of forensic pathology. As for the unidentified corpses, we need more awareness through announcements to enable relatives who may not be aware that their family members are involved to do the right thing by assisting us with sample DNAs”. Meanwhile more support has continued to pour in for the Founder and General Overseer of The SCOAN, Prophet T.B. Joshua, as various groups stormed the court to register their solidarity with the cleric. Speaking to the press after the court proceedings today, some of them said that Joshua is a beacon of hope for the common man, stressing that he does not deserve any form of injustice. They said they were ready to mobilize international action against any person, institution or group that tries to undermine the integrity of Joshua and his ministry. Organizations such as the National Youth Service Corps (NYSC), the West African Student Union (WASU) as well as Nollywood actors under the aegis of the Actors’ Guild of Nigeria (AGN) stormed the court en masse for Prophet T.B. Joshua. Chief Magistrate Oyetade Komolafe adjourned proceedings to Wednesday, March 25, 2014. Note: Nosa Osazuwa has always being present throughout the court proceedings. According to monitored opinion from interested parties in the ongoing inquest, Nosa Osazuwa has being spotted out among other investigating journalists monitory the inquest to be unbiased in is reports on the Coronal inquest taking place in Lagos Nigeria. 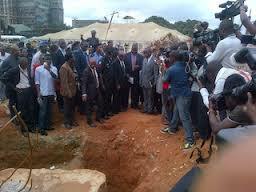 A Deputy Director in the Lagos State Ministry of Works, Engineer Tunde Lasoju has told the coroner that he saw no physical sign of foundation failure at the site of the collapsed building belonging to The Synagogue, Church of All Nations (SCOAN) when he visited to carry out preliminary investigation into the possible cause of the collapse. Engineer Lasoju’s submission contradicted the position of Dr. Olusegun Oyenuga, a member of COREN (Council for the Regulation of Engineering in Nigeria) and NBRRI (Nigerian Building and Road Research Institute) investigation committee who earlier told Chief Magistrate Oyetade Komolafe that the report of their investigation showed that the building might have collapsed due to structural defects in the foundation and pillars. Undergoing cross-examination by counsel to the Lagos State Government, Engineer Oyenuga disclosed that the report of the committee’s findings was based on measurement taken by other members of the committee rather than on the necessary drawings and documents in the possession of the church’s engineers. He also agreed that he was never at the site of the collapsed building to ascertain things for himself: “I was away in Abuja when the COREN/NBRRI investigation committee visited the site of the collapsed building. I did not participate in the visit but I stand here to present the report because I am a member of the committee”. It would be recalled that a consultant to the Lagos State Materials Testing Laboratory, Engineer Ayorinde Saheed Oluwaranti had told the coroner that the building most likely collapsed due to structural defects from the foundation. According to the Engineer who said his conclusion was based on speculative assumption, he also made some mistakes in calculations that produced his report. The spate of contradictions within the controversial inquest has led several groups, including the Committee for the Defense of Human Rights, to hold solidarity rallies calling on the Federal Government to look into the irregularities threatening the conduct and result of the inquest. Meanwhile, security personnel attached to the coroner’s court had a difficult time controlling crowd at the court as the courtroom was filled to capacity with many persons hanging around outside. An overwhelming level of support has continued to pour in for Prophet T.B. Joshua as the crème de la crème of the Nigerian entertainment industry besieged both the court and the church premises to register their solidarity with the a man described as a harbinger of hope to the downtrodden in society. Popular musicians, actors and actresses that were present included the Rainmaker, Majek Fashek, Pastor Wadada, W4, BabaSuwe, Lere Paimo, Femi Branch, She Baby, Bimbo Thomas, Murphy Afolabi and Ireti Osayemi. Chief Magistrate Oyetade Komolafe adjourned proceeding to Friday, March 13, 2015. By Nosa Osazuwa, a writer from Lagos, Nigeria, was present during court proceedings. 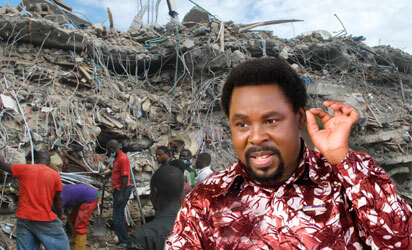 For those that have open-mindedly follows the ongoing coronal inquest into the collapse SCOAN guest house that led to the death of more than 100 visiting members of the Synagogue Church of all Nations (SCOAN) can tell, from how the inquest is being conducted, Prophet T.B Joshua will not get justices from the Lagos state agencies that are witness in the ongoing coronal inquest. Interest groups, investigating journalists and individuals who so far has being present at the coronal court, has lamented the visible show of biases by the coronal Magistrate and contradicting reports by witness of the Lagos state government agencies in the ongoing inquest and its sadden that all of this accounts has being suspiciously ignored by world media house. Recently, the structural engineer and a consultant to the Lagos state Material Testing Agency, Saheed Ariyori who testified as a witness on 4th, march, 2015 that the collapse of the guesthouse own by SCOAN was as a result of defective foundation has admitted he is not a professional in sub-soil investigation and that is earlier report of faulty foundation as the cause of the building collapse was an error. He admitted this on the 6th of March, 2015 at the coronal court after being cross examined. It was observed that his initial “error” report contradicted the report generated from the sub-soil investigation already tendered before the coronal court by the same Lagos State Material Testing Agency that Saheed Ariyori is a consultant to. Here is what Ariyori said when being cross examined: “We did integrity test on the rubbles that collapsed. The report showed that the concrete used on the collapsed building was good. He also confirmed that there were errors in his calculations made before the court on March 4 in which he based his conclusions that the foundation of the collapsed building was defective. Sources: Read through the last four paragraphs. This again as confirmed our earlier stand of contradicting report and prejudices by the so called expert witness representing the Lagos state government agencies in the coronal inquest. From day one of this tragic incident, all the Lagos state agencies that has in one way or the other gotten involved in this matter has being biased in their report against the ministry of Scoan. We should not be quick to forget the accusation levied against Scoan by the National Emergency Management Agency (NEMA) and Lagos State Emergency Management Agency (LASEMA) that Scoan did not allow them to save life during rescue operation, but later CCTV footage presented to the coronal court by the SCOAN Chief Security Officer shown that NEMA and LASEMA where not hindered by SCOAN to do their statutory assignment instead, they came to the rescue site ill equipped and didn’t take their rescue operation serious but they were busy conducting interview when people were still trap under the rubbles. What makes it even outrageous is that most local and international media that where reporting this false allegation by NEMA AND LASEMA against SCOAN kept mute when the truth was finally exposed and some are still propagating this false report until now. If you are very observant, you will find out that this recent report by Saheed Ariyori the consultant to the Lagos State Material Testing Agency is suspiciously cover underground, only few news media is talking about this, while because the report seems to exposes the much talk prejudices against T.B Joshua’s ministry by government agencies in the ongoing inquest. But what is on news now is T.B Joshua suit to stop inquest fail, Tb Joshua most appear before the coronal court and other infuriating headlines. For the sake of transparency, there was nowhere in the SCOAN suit that says the Federal High Court should stop the coronal inquest from conducting their investigation, the aspect of the suit that is falsely propagated by news media is one among other suit that seek to know if the corona had not been extending the inquest beyond its legal acceptable boundaries, if indeed they have gone beyond their boundary, the High court should declare such portion null and void. There is a clear difference between “seeking to stop the corona inquest into the collapse building and seeking to know if the coronal had not been extending the inquest beyond is legal acceptable boundaries”. This is one among countless of biased report from the world media. They want Prophet T.B Joshua to appear before the court, the question is for what? Is T.B Joshua a structural engineer, even the contractor said the prophet is not directly involved in the construction of the collapse building, so which material evidences do they want from T.B Joshua, is the Prophet a building expert after all the collapse guest house was contracted to a construction company, but why is the coronal Magistrate more interested in T.B Joshua coming to court to testifies. This is left for the open-minded to answer. The role so far played by majority of both local and international media in this matter is worrisome. It has becomes clear the institutions of the world are against the healings, deliverances and other miraculous happenings that are taking place in the SCOAN and they want to stop the move of God in the life and ministry of Prophet T.B Joshua. Don’t forget Satan is the ruler of this world majority of the institution in this world is under his control. The Structural Building engineer who supervised the construction of the collapsed Synagogue Church Of All Nations’ building, Engr. 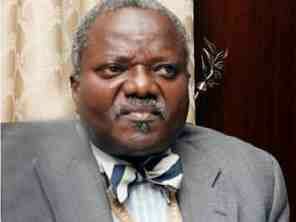 Oladele Ogundeji, said on Friday that the Lagos State Material Testing Agency certified its foundation. 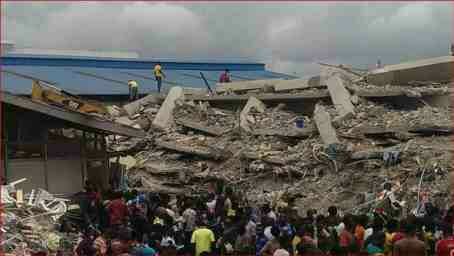 The six-storey building within the premises of SCOAN had on September 12, 2014 collapsed, killing 116 persons. Ogundeji testified before the coroner’s inquest set up by the Lagos State Government to determine the cause of the victims’ death. Ogundeji, who said he obtained his training in Building Technology and Building Engineering in Yugoslavia, overruled foundational defect as a possible cause of the collapse of the building, which he said had 28 columns. According to him, the direction and the speed of the fall of the building were not consistent with structural failure. “According to the drawing and based on the geotechnical reports, the foundations were okay. This project is a technological cause, it can be verified. “Now, when we were working on site, we did not envisage that something like this would happen but after the collapse, an agency of the state, the Lagos State Material Testing Agency came to the site, they instructed that three bases should be excavated, they took some samples and carried out laboratory tests. They came out with the result; the concrete pad footing passed the test, the reinforcement passed the test and the columns passed the test. Apart from this, the foundation on site that the six-storey building stood upon are still there, they are intact, no rotation and no tilting,” Ogundeji said. 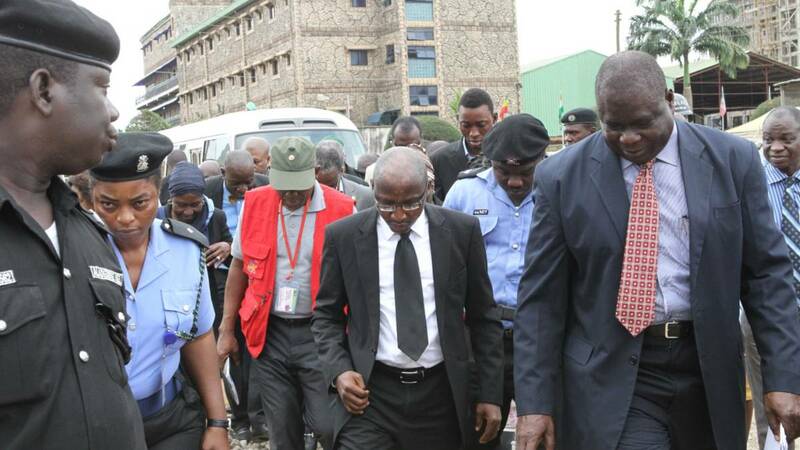 He maintained that in spite of the stress as a result of the collapse the foundation still passed the test conducted by the Lagos State Material Testing Agency, adding that the results were already in the custody of the court. Asked what would be the signs of a building that collapsed as a result of foundational compromise, Ogundeji said there would have been cracks in both the foundation and the wall, adding that the building would have been tilting weeks before its eventually collapse. Demonstrating through a schematic diagram of board, Ogundeji said, “If it is a structural failure, the whole building would not come down suddenly on no account and when it is coming down it would be gradual, it may take days, weeks or months and it can take 10 years and there will be cracks that even a layman will see it. ”The witness also tendered before the court the structural and architectural designs of the collapsed building, which were accordingly accepted and marked as exhibits by the coroner, Magistrate O.A. Komolafe. Ogundeji, while telling the court that the construction followed best practices, said a soil test was conducted before the project kicked off. He added that though his client was responsible for the supply of building materials, he was,however, the one who gave the specification and suggested the supplier. He named Dangote as the brand of cement used adding that every bag of cement procured was used within two weeks of manufacture because the site storage room was small.